Mix one part loner with two parts violence to get an ethereal story run through with Norse mythology rooted firmly in realism. 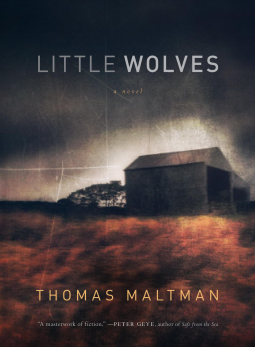 A tragic act of violence echoes through a rural Minnesota town in a haunting new novel from Alex Award winning author of The Night Birds, Thomas Maltman. Little Wolves is a story full of quiet grief and malice. Although the story starts with a literal bang, the protagonists are left to wade through a miasma of questions—why did he do it? How could I have prevented it? Who am I? How do I move on? This is a novel that lives in the grey-area between past and present, good and evil, power and weakness. Maltman weaves the lives of his characters together into tighter and tighter knots, giving us more than a simple mystery. Wolves and ghosts roam the realistic narrative (it’s based on true events) and I love this book for its stark portrait of a small-town dealing with tragedy and the individuals within that community who can’t simply accept that everything is as it appears. If you would like to add Little Wolves to your collection, personal or professional, you can purchase it at any of these locations: Barnes & Noble, Amazon, Google Play, Indiebound. I read this title on my Bluefire Reader app on the iPad. In the taut opener, “Victory Lap,” a boy witnesses the attempted abduction of the girl next door and is faced with a harrowing choice: Does he ignore what he sees, or override years of smothering advice from his parents and act? In “Home,” a combat-damaged soldier moves back in with his mother and struggles to reconcile the world he left with the one to which he has returned. And in the title story, a stunning meditation on imagination, memory, and loss, a middle-aged cancer patient walks into the woods to commit suicide, only to encounter a troubled young boy who, over the course of a fateful morning, gives the dying man a final chance to recall who he really is. A hapless, deluded owner of an antiques store; two mothers struggling to do the right thing; a teenage girl whose idealism is challenged by a brutal brush with reality; a man tormented by a series of pharmaceutical experiments that force him to lust, to love, to kill-the unforgettable characters that populate the pages of Tenth of December are vividly and lovingly infused with Saunders’s signature blend of exuberant prose, deep humanity, and stylistic innovation. 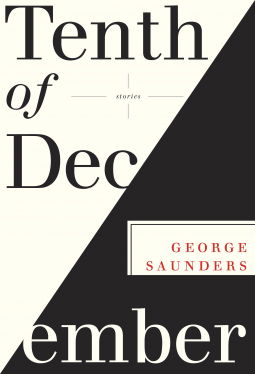 The NY Times Magazine ran a feature story in their January 3, 2013 edition, “George Saunders Has Written the Best Book You’ll Read This Year,” more of a homage than a review, really, to coincide with the publication of Saunders’ newest collection of short stories, Tenth of December (Random House, January 8, 2013). I requested the book from the NetGalley catalog, and read on my iPad using the Bluefire Reader app. Since short stories aren’t my favorite, I actually, ashamedly, hadn’t read any of Saunders’ previous works (he is often described as “one of the great writers of our time”). But there was something about the NYT article that drew me in: “… the main thing about it, which tends not to get its due, is how much it makes you feel… One thing is that you read them and you feel known, if that makes any sense.” And truth be told, it does make sense; he has a way of writing that captures familiar human emotion in the most absurd circumstances, from the teenaged girl being kidnapped in the first story, “Victory Lap,” to the futuristic mind-altering drugs in “Escape from Spiderhead.” His writing is creative and exciting. But if you are a reader not particularly interested in the pedigree, it bears mentioning that the stories are wry, witty and clever. You will identify with the characters in just a few pages, will be anxious about what will happen next, and miss them when the story ends and a new one begins. Each story is surprisingly different, yet the collection is harmonious and many themes echo throughout. And although many of situations Saunders describes are despicable and ugly, life’s relentless penchant for beauty shines through again and again. (Saunders says it best, “Why were we made just so, to find so many things that happened every day pretty?”) And… well, I could go on. The collection is short – less than 120 pages – and a quick and enjoyable read. If you’d like to own a copy (as I would), you can purchase it at any of these locations: Amazon, Barnes & Noble, Indiebound, Kindle, Nook, iBookstore. Check out the other titles we’ve reviewed – 2012 NetGalley Picks!